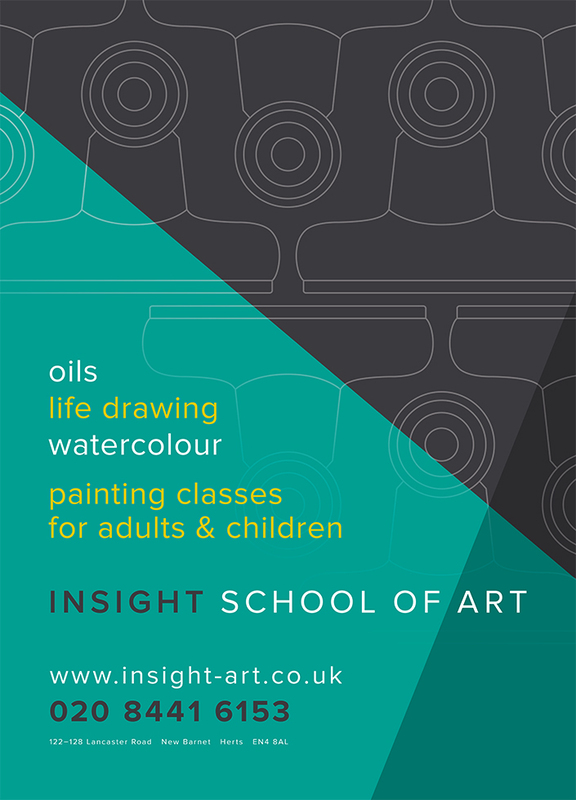 Insight has been providing an 'art school' style education to people wanting to become better painters since 2001. We currently run twenty three different classes each week, catering for adult leisure painters, children and new artists looking to exhibit in London galleries. In 2017 we moved into a stunning, brand new, purpose built studio on Whetstone High Road, where we now hold the majority of our classes. We also run two leisure painting classes for adults in Bricket Wood near St Albans. All teachers responsible for children’s classes and our adult helpers have up to date Enhanced DBS (CRB) checks. Insight only employs passionate, experienced teachers who are also excellent practitioners. Whether teaching students new to painting or experienced artists, adults or children, our teachers are excellent at supporting each individual’s needs and delivering relevant, informative lessons with the highest of expectations. You can see a selection of artwork produced in our classes on our gallery page and Instagram feed, and read about the successes of our our students and staff on our news page and Facebook.